Borage oil (Borago officinalis) contains high amounts of the essential omega-6 fatty acid GLA (gamma-linolenic acid). Very little GLA is found in the diet. Borage oil is the richest natural supplemental source of GLA. Borage oil is a natural substance , dervied from the seeds of the borage plant, native to Europe, Africa, and North America. 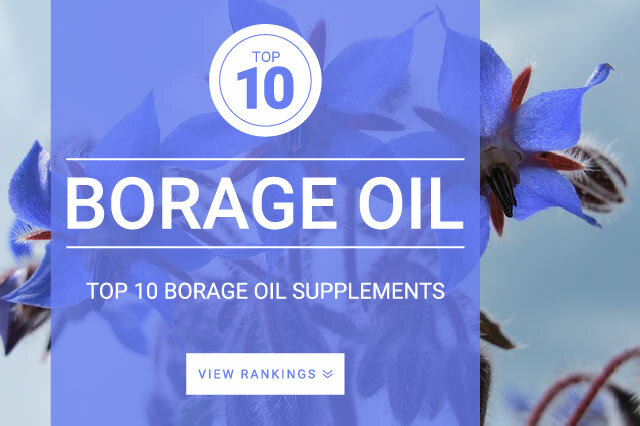 Borage oil proves high levels of the essential fatty acid called gamma-linolenic acid (GLA), which some say is just as important as most dietary minerals and vitamins. Gamma-linolenic acid (GLA) is known to be a strong anti-inflammatory. Therefore most people supplement borage oil for its powerful anti-inflammatory effects, seen to help improve skin conditions, acne, pain, arthritis, pms symptoms, stress, fatigue, respiratory infections, adrenal fatigue, adhd, memory, focus, and heart disease. Overall, supplementation of borage oil can be used to increase the amount of omega-6 fatty acid in your diet which can have many positive effects on your health. Borage oil is the richest supplemental source containing upwards of 17% to 25% GLA. Borage oil may help improve attention span, adhd symptoms, and concentration. The standard dose for borage oil is 500 mg – 2,000 mg daily. Borage oil should be taken with food for best results. Full benefits may take up to 6 months to develop.